What Would Jesus Do?, often shortened to WWJD? or W.W.J.D. is a slogan so famous that millions of objects have been emblazoned with it. However, the person who came up with “W.W.J.D.” never saw a penny of the millions of dollars companies across the globe have made from it. 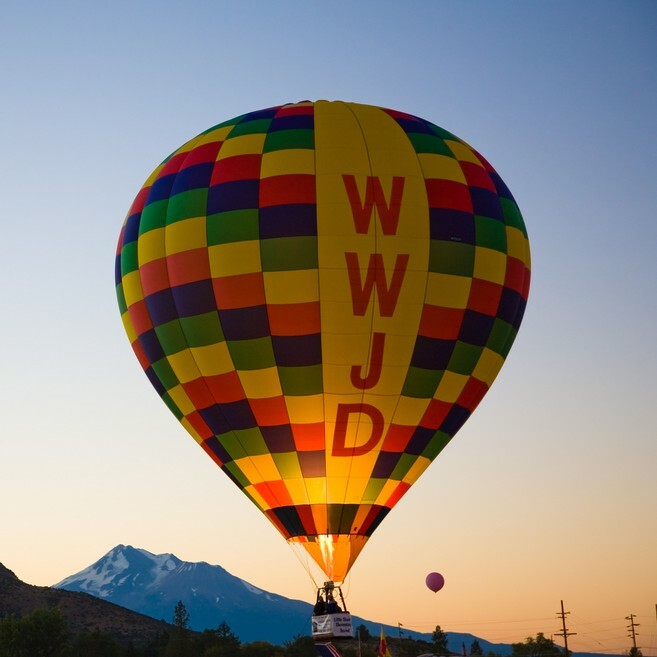 The earliest known instance of the full slogan “What Would Jesus Do” dates all the way back to 1886 from a series of serial sermons by an American minister from Topeka, Kansas by the name of Charles Sheldon. Each week, Sheldon would tell an entertaining story, posing the question, “What would Jesus do?” when characters came across a difficult moral decision or situation. To increase attendance at his Sunday night sermons, Sheldon would end each story on a cliffhanger ensuring the people there would come back the following week to learn what happened next. These sermons proved to be immensely popular. Spurred on by their popularity, Sheldon got them published in Congregationalist Magazine, and they were soon put together into the book, In His Steps: What Would Jesus Do? As for the man, Sheldon was an advocate of Christian socialism, despising capitalism, ironically enough. He was also a firm supporter of gender and racial equality, as well as an advocate for the humane treatment of animals, including being a vegetarian. This is not overly remarkable today, but in the late nineteenth century was quite a radical stance on all four fronts. Besides being among the few white ministers of the day to not only allow, but openly invite, black people to become full members of his church, he also openly spoke out against the KKK to their faces and wasn’t shy about slamming anti-Semites whenever he encountered them. He further encouraged women in his congregation to become involved in politics to help in the fight for equal rights for women, including in the workplace. Again, he believed we were all equal in God’s eyes; if this way of thinking was good enough for God, it should be good enough for everyone. Considering his stance on capitalism, it probably won’t surprise you to learn that after a copyright hiccup saw his book placed in the public domain shortly after being published, it didn’t bother him much. He remained unbothered when the book went on to be one of the top 50 or so bestselling books of all time without him earning much of anything from it; he was mostly just happy the message was being spread, and that maybe more people would spend some time contemplating Jesus because of it. A few of the publishers who were raking in the dough thanks to his book did send him small “thank you” stipends, amounting to about $10,000 total throughout his lifetime (dying in 1946), so that was something at least. So how did this get us to the 1990s (and beyond) W.W.J.D. bracelets and other product? Janie Tinklenberg read Sheldon’s book in 1989 and had taken the message of “What would Jesus do?” to heart. She decided to use it in her job as a youth leader at a church in Holland, Michigan where she encouraged her students to keep it in mind as they went about their daily lives. As a way to make sure the kids didn’t forget, Janie decided to emblazon the slogan on something wearable, settling on wristbands, since “At the time, 1989, beaded friendship bracelets were popular. I figured a bracelet was perfect: They could wear it all the time and it was even kind of cool.” However, since the phrase “What would Jesus do?” was kind of awkward to fit on a bracelet, she opted for the abbreviation W.W.J.D. Along with looking neater, this was also doubly ingenious since it prompted others to ask what W.W.J.D. meant, thereby spreading the message a little further and giving an opportunity for her students to evangelize. Little did Janie realise she’d accidentally stumbled onto a goldmine, and before long the 300 bracelets she’d had made weren’t enough, forcing her to order hundreds more. When the company making them, Lesco, saw how popular they were, they quickly began churning out and selling millions of their own. Other companies, seeing that Lesco were raking it in, followed suit. Before long, W.W.J.D. was everywhere. Much like Sheldon, she was initially happy that her little abbreviation, and the message with it, was spreading like wildfire. However, after seeing a $400 necklace with W.W.J.D. on it and a decidedly questionable W.W.J.D. board game, she felt it was getting out of hand and had become more about commercialism than the message. To try to take control of it, and to use the potential funds from sales to start a non-profit youth ministry, she applied for a trademark on W.W.J.D. but was told that since she’d waited so long and because it was now so prevalent, it was in the public domain, echoing the situation Sheldon had found himself in almost a century earlier. The people selling the product with W.W.J.D. on it in return soundly ignored her complaints (one of them, the international Christian publishing company, Zondervan, even going so far as to try to trademark it themselves) and went back to earning millions of dollars from works that had essentially twice been stolen from their creators, though neither really minded much on the whole. What would Jesus do — about copyright? Maybe the answer is steal the creators blind and make a mint? AMazing about the preacher that invented the phrase. His stances on human (and animal) right were truly ahead of their time. Showing that these ideals have always been at least possible, if not popular. Too bad that today many of his co-religionists would probably treat him as much as a nutcase as his contemporaries probably did. It’s not even biblical. If we ask “What would Jesus do?”, we would be using our own human understanding to rationalize what Jesus would do. The best thing is to pray that the Holy Spirit gives us the wisdom of what Jesus would truly want us to do. I first read “In His Steps” as a nine year old in the 1950s. To this day, the sentiments have stayed with me, particularly in the face of today’s holier than thou modern super Christianity. WWSD?, What Would Simon Do?